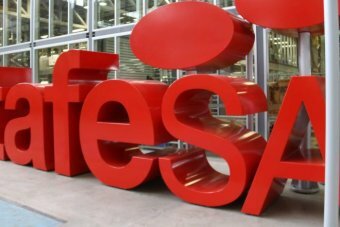 Trouble-plagued TAFE SA has abandoned a legal bid to block release of an ombudsman’s investigation into why a senior executive’s job was abolished a day before he was set to return from extended sick leave. The inquiry probed alleged failings by the training organisation’s board under the leadership of its now-sacked chairman and chief executive. SA Ombudsman Wayne Lines investigated, under a referral from the Independent Commissioner Against Corruption (ICAC), and found the board did not commit maladministration or misconduct when it failed to keep proper records about its decision to sack a senior executive in 2015. The ombudsman’s report said the executive, who is not named, took seven months’ sick leave from May 2014, but was told his position was no longer required on the day before he was due to return to work. When the man applied under freedom of information laws to find out how the decision was made, he was told there were no records of discussions because they were held “in camera”. Mr Lines found TAFE “acted in a manner that was wrong for the purposes of … the Ombudsman Act” by not keeping records of such decisions. Lawyers for TAFE’s then-chairman Peter Vaughan and chief executive Robin Murt sought to block release of the investigation’s finding, arguing the matter was beyond the scope of the ombudsman’s powers. Mr Lines disagreed, saying the referral from the ICAC “enlivened” his powers under the Ombudsman Act. “A contrary interpretation would be inconsistent with the purpose of the ICAC Act,” he concluded. The finding’s release was delayed for six months after TAFE flagged the prospect of a judicial review but that path has now been abandoned. Last month, TAFE’s chairman Mr Vaughan was sacked and Mr Murt resigned after an audit found some of the organisation’s courses did not meet national standards. In a statement, a TAFE SA’s spokesperson said recommendations by the ombudsman had been put into place. “The board, under the leadership of the new chair, appointed in December 2017, has already adopted the recommendations outlined in the ombudsman’s report,” the spokesperson said.